This week was good. My life feels like a buffet of creative offerings, and this week I ate a very balanced diet. No, of course I didn’t get everything on my eternal to-do list done, but right now I’m feeling productive, creative, and accomplished. I’ve relaxed into the flow of each day, and not fretted when I can’t get to something because another thing calls for my attention. I’m learning to follow this flow and not get too stressed out about whatever doesn’t go as planned. I’m not perfect at it, nor do I expect to be. But lately when I’m feeling upset or “off,” I can re-center pretty quickly. Doing my wellness practices regularly really helps. So, what am I feeling so accomplished about, exactly? Well, I wrote nearly 7,000 words on a new e-book. This one will be a free giveaway to folks who sign up for our Feline Dreamers newsletter, so essentially it’s part of our website re-launch. We’re almost done with the website, and it’s looking really grand! Simple, streamlined, friendly and colorful. I’ve been keeping up pretty well with blogging, and starting to gather ideas for a big guest post I’ll be doing for next month. My daily practices have been going well, which I’m sure is what’s supporting my ability to balance everything. I’ve gotten back to yoga after a hiatus, and I’ve been dancing more often, too. It feels wonderful. I even got out and had some social time this week, after being a bit of a hermit for a while. I enjoyed myself, and today I’m ready to cozy up in my tower and do some more creating. So, overall, a positive week, and I’m looking forward to another one. I hope your week goes well too! I decided that twice a week is too often for me to update my ROW 80 goals. Suffice it to say, if you’re one of my ROW 80 colleagues, that I’ll have a really yummy update for you on Sunday. In the meantime, here are a couple links I’ve found in the process of researching ethical marketing and promotion. Tips for creating an online book tour. Or check out this website if you’d rather pay someone to do it for you. How to rock your plot. Thank you to Shan for the recommendation – I purchased both Rock Your Plot and Rock Your Revisions and have them waiting for me on my Kindle. Well, I haven’t made as much progress as I would have liked this week. But the distractions were good, as they were mostly about my daughter’s birthday, and some other kid-related stuff. So I’m totally okay with it. What did get done towards my goals? A little bit of editing. I’m on page 22 of 211, which doesn’t sound like much, but it’s progress. Some writing. I’m working on a new e-book to give away to folks who sign up for our newsletter. We’ll be promoting our newly-revised Feline Dreamers website soon, and wanted to have some cool new content available. The new giveaway is called 101 Tips to Be More Present, Access Your Inner Wisdom, and Share Your Spiritual Gifts. I know, a long title, but BlackLion came up with a really cool graphic for the cover that is made up of the title in bright colors and varying fonts. It’s fun coming up with the tips, and being really creative with them. Some blogging. 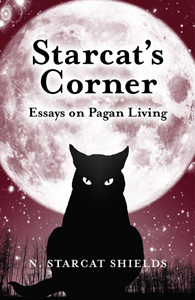 I haven’t quite ramped up to my goal, but I did two posts this week on Starcat’s Corner, and this one here. Getting there. Some reading. I’ve still been learning a lot from Write. Publish. Repeat. I’m 71 percent of the way through it (thank you Kindle for keeping track, heh heh). We’re going to add CTAs (calls to action) to the end of all of our free e-books, to let people know about the books we have for sale, etc. It makes a lot of sense – if readers like what you write for free, they’re more likely to read what you have for sale, too. I like how the book is all about doing it ethically, not in a scammy smarmy sales way. Not much in terms of wellness practices. The busy week was distracting. Enough said. Cool news: a while ago I contributed an essay to a compilation my publisher was doing. 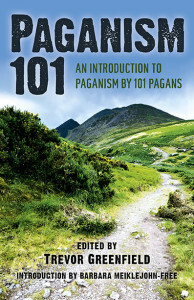 The book, called Paganism 101: An Introduction to Paganism by 101 Pagans, will be out next month, and it’s now available for pre-order. If you’re curious, here’s more information. I’m excited to see it and read the other essays! For this coming week: more editing, finishing the giveaway e-book and the website redesign (I hope! ), more reading (always), and increasing my movement and exercise. Wish me luck! Have a productive week, everyone! It’s time for another update already? I’m thinking that twice a week might be too often for me. It seems like I don’t have enough to report to warrant a whole blog post, halfway through the week. I’ll have to ponder on it. I’ve been doing well, chugging along and working towards my goals. The last half of the week was spent working on the Feline Dreamers website. I wrote a bunch of copy, put together a couple of new pdf files for our page of free content, and did some editing. The website is coming along great! BlackLion is doing a wonderful job making it beautiful, simple, and welcoming. I’m really excited about it. The weekend was devoted largely to Dark Follies, my vaudeville troupe. We had a longer-than-usual rehearsal on Saturday, and then today we filmed for a promotional video. This is the payment for one of our gigs back in the fall, and having a professional video will enable us to apply to perform at some larger venues. I think it went pretty well. We had a good time and everyone seemed patient with the process. This week is my daughter’s 15th birthday, so some of my time will be consumed with celebrations, and joyfully so. She’s a wonderful young woman. Hard to believe my youngest is getting so old! Alongside the revelry, I plan to get to some more book editing, work on the website, more reading, blogging, and my regular practices. I hope your week is fun and productive, too! Today I’m thankful for motivation. Writing up my goals seems to have given me a boost. I’ve gotten a really good start on the week and the round. Yesterday BlackLion and I had our annual summit meeting for our business, Feline Dreamers. We put together a “road map” marketing plan for what we want to accomplish this year, and then started working on one of the items – namely, revising and refreshing our website. We now have an outline and concepts of how we want to simplify and beautify it, making it more user-friendly as well as easier to maintain. He’s more savvy than me (thankfully!) about the technical part of putting the new site together, but I’ll be writing lots of copy for it, for certain. Then, this morning, I got started on the editing for our NaNoWriMo novel, The Door Is the Key. The first task was to weave all the scenes together. We had an outline, but we each kept our own separate documents, just for ease of writing. So I smooshed the scenes all together in one document, in the proper order. The coolest part is that the novel is even better than I remembered! I got to skim bits and pieces of it as I was going through it, and I must admit I’m impressed. It’s a rough draft, so of course it still needs work. But I was thinking of it in that way, of needing lots of help, and forgot just how pleased with it I am. Woo hoo! I’m about one third of the way through reading one of the books I’ve chosen as I research ethical marketing and promotion. It’s excellent! It’s Write. Publish. Repeat. The No-Luck-Required Guide to Self-Publishing Success by Sean Platt and Johnny B. Truant. I highly recommend it. As far as practicing wellness goes, I’m doing quite well with daily writing and gratitude. I’m eating pretty well, and getting good sleep. Exercise seems to be the missing link at the moment. I don’t know if it’s winter lethargy or what, but I need to get moving more. I’ll put my focus on that in the coming days. All in all, a pretty dang good start! Go, me! Greetings fellow writers! I’m excited to be starting a new round, which is actually my fourth one (as I started in the second round last year). Some of my goals will seem familiar, as will the format, which I’ve kept from previous rounds. Others are newer. Here they are, and I’m getting started on them today. In collaboration with BlackLion, edit, revise and polish our NaNoWriMo novel, The Door Is the Key. 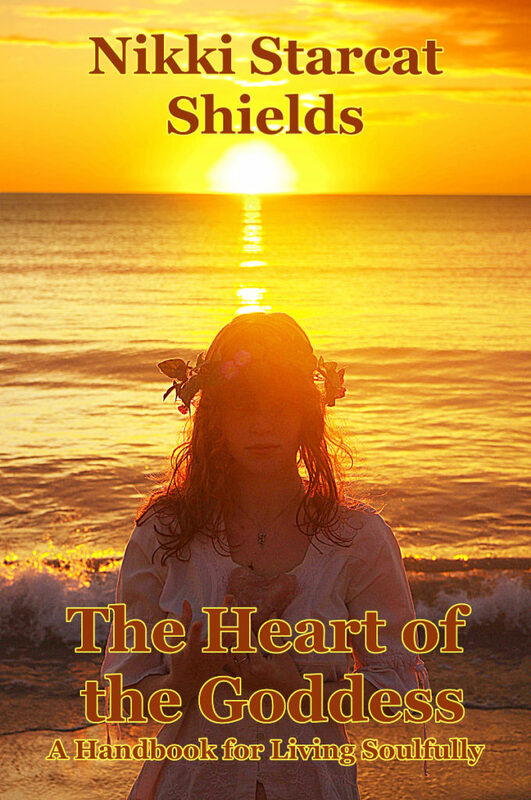 Have it ready for the next step, which is yet to be determined (submission, beta readers, or self-publishing). Write and edit at least three guest blog posts and have them posted. This includes Moon Books and Kind Over Matter, both due in February. Choose my next book project and outline it. Continue learning about ethical marketing and promotion. Read at least 3 books on this subject. In collaboration with BlackLion, update our Feline Dreamers website and create a marketing plan for 2014. Promote and sell more copies of both of my existing books. Use new techniques I’m learning as well as ones I already know about. This includes posting excerpts of my books, trading book reviews with other authors, and asking readers for Amazon reviews. 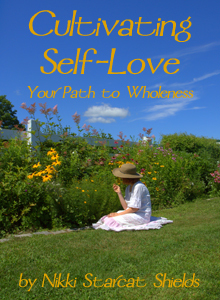 Explore creating a hard-copy version of Cultivating Self-Love. Look into CreateSpace and other options. Enjoy my life and go with the flow. 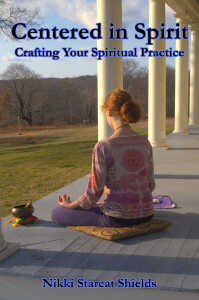 Continue with my five main spiritual and creative practices: journal writing, yoga, drumming, dancing, and gratitude. Eat well. This means eating healthy vegan foods, avoiding sugar and junk foods, and drinking plenty of water. De-clutter my desk and filing cabinets. Make the space more user-friendly so I’m more likely to use it.